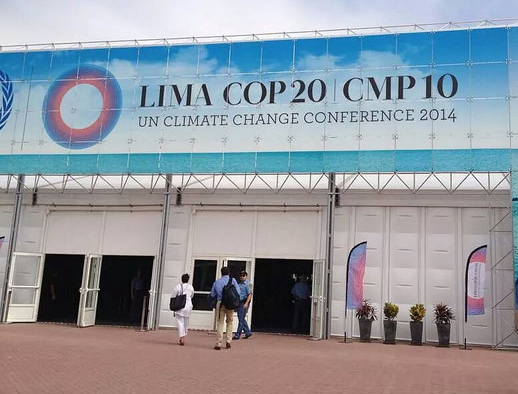 “Against the backdrop of extreme weather in the Philippines and potentially the hottest year ever recorded, governments at the UN climate talks in Lima opted for a half-baked plan to cut emissions. “Governments crucially failed to agree on specific plans to cut emissions before 2020 that would have laid the groundwork for ending the fossil fuel era and accelerated the move toward renewable energy and increased energy efficiency. “The science is clear that delaying action until 2020 will make it near impossible to avoid the worst impacts of climate change, yet political expediency won over scientific urgency. Instead of leadership, they delivered a lackluster plan with little scientific relevancy. “Negotiators have wasted the wave of political optimism they rode into the talks, even after commitments to cut emissions from China and the US and an initial US$10 billion in climate finance from countries large and small. “Developed country governments couldn’t even manage to explain how they will deliver the long-promised US$100 billion per year in climate finance by 2020. 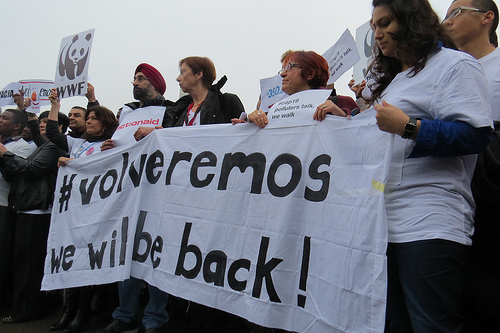 In a move that seemingly dismissed the plight of the most vulnerable countries, they completely removed any meaningful language about ‘loss and damage’. “If they’re in fact serious about preventing climate catastrophe, governments now have to start immediately identifying specific actions to cut emissions and provide finance before 2020. There will be ample opportunity to do so with the most powerful countries gathering at the G7 and UN summits both planned for June 2015. And they have six months to put forward their most ambitious emissions cuts and finance commitments for 2020 onwards, with all information to describe how they will meet those commitments. “The outcome in Paris is still a mystery and governments can solve it. But it’s going to be hard road to pull everything together in the next year and churn out an adequate and equitable deal based on science and not politics. “In a stark contrast to the negotiations we have seen positive developments outside. Latin American countries have shown that decisive climate action is indeed possible, through announcements to ramp up renewable energy, further reduce forest-based emissions, and contributions towards the capitalization of the Green Climate Fund, with their own resources and support from others. Civil society marchers in Warsaw, Poland pledging to return to the next round of climate talks.